The name of the organisation shall be THE INTERNATIONAL SOCIETY FOR PSYCHOLOGICAL AND SOCIAL APPROACHES TO PSYCHOSIS hereafter referred to as "The Society". The Society will be an international society governed by the law of the country in which the official ISPS accounts are held. The official language of the constitution and of the society is English. The formal address for all communications shall be that of the appointed Secretariat of ISPS of that time. 5.1a - to promote the appropriate use of psychotherapy and psychological treatments for persons with schizophrenias and other psychoses. 5.1b - to promote the integration of psychological treatments in treatment plans and comprehensive treatment of all persons with schizophrenias and other psychoses. 5.1c - to promote the appropriate use of psychological understanding and psychotherapeutic approaches in all phases of the disorders including both early in the onset and in longer lasting disorders. 5.1d - to promote research into individual, group and family psychological therapies, preventative measures and other psychosocial programmes for those with psychotic disorders. 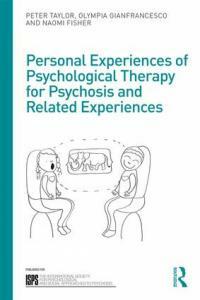 5.1e - to support psychotherapeutic treatments that include individual, family, group, and network approaches. 5.1f - to advance education, training and knowledge of mental health professionals in the psychological therapies and psychosocial interventions in the treatment and prevention of psychotic mental health disorders for the public benefit regardless of race, religion, gender or socio-economic status. 5.2a - to promote an International Executive Committee structure for the Society to support continental, regional and national networks of professionals that will aim to fulfill the objectives in 5.1. 5.2b - to enhance awareness about the psychological therapies and psychosocial interventions amongst professionals and to make available to the general public knowledge of such therapies and interventions and where so, to bring to the public's attention the scarce availability of such therapies and interventions. 5.2c - to facilitate communication by means of publications, newsletters, journals, scientific conferences and other meetings. 5.2d - to create a central institution for the collection, provision, maintenance and spread of information and knowledge of the psychological therapies and psychosocial interventions relevant to psychotic disorders. 5.2e - to establish, carry on, promote, organise, finance and encourage the study, writing, production, publication and distribution of books, periodicals, monographs, pamphlets, articles and other literature and to arrange meetings and lectures and to arrange for the reading of papers and holding of seminars or discussions and to circulate any periodicals and literature that may be deemed advisable by the Executive Committee and to provide library facilities. 5.2f - to purchase, take on, lease or hire or otherwise acquire real or personal property and rights or privileges and to construct, maintain and alter buildings. 5.2g - subject to such consents as may be required by law, to sell, let, mortgage, dispose of or turn to account all or any of the property or assets of the Society. 5.2h - to undertake and execute any charitable trusts which may lawfully be undertaken by the Society. 5.2i - to borrow or raise money on such terms and on such security as may be thought fit provided that the Executive Committee shall not undertake permanent trading activities in raising fundsfor the said objects. 5.2j - to establish and support or aid in the establishment and support of any associations or institutions in accordance with the aims in ARTICLE 5.1 and to subscribe or guarantee money for charitable purposes. 5.2k - to join or affiliate or cooperate with and subscribe to any association, society or corporation and to purchase or otherwise acquire and undertake all or any part of the property, assets, liabilities and engagements of any such association, society or corporation. 5.2l - to do all such other things as shall further the said objects or any of them, but not to do anything which will breach the national law of a member state. Membership shall be open to all individuals, groups and organisations of mental health professionals, administrators and legislators, including interested lay persons, users of mental health services and family members upon payment of the subscription fee. The executive committee has the absolute power to exclude from membership persons that it considers would not benefit the organisation and its objectives. Membership is not indicative of, and must not be used to indicate any form of professional competence or expertise. Members may organise themselves into ISPS membership groups providing they agree to the ISPS constitution and the group pays the membership fees determined by the executive. 7.1 - The affairs of the Society shall be managed by an International Executive Committee. 7.2 - The Executive Committee will be composed of up to eight members who will each be elected by ballot every three years. 7.3 - THE CHAIRPERSON shall be elected from amongst the Executive Committee members and by the Executive Committee members at its first meeting following the last election for members. Other Executive members will be appointed by the Executive Committee itself to the positions needed for its functioning. These shall include a treasurer and a secretary and minutes shall be taken of all meetings and decisions made. 7.4 - Members of the Executive Committee may resign by giving notice in writing to the secretary. 7.5 - The proceedings of the Executive Committee shall not be invalidated by any failure to appoint or by any defect in the appointment of any member. 7.6 - The Executive Committee shall be convened at least annually by the chairperson. An official convening may take the form of meetings that are face to face, by telephone or video link and that involve a quorum of members. A quorum shall be at least four elected members. Additional meetings must be called by the chairperson if at least four Executive Committee Members sign a letter expressing a request to meet. 7.7 - The Executive Committee may from time to time appoint such sub-committees as may be deemed necessary, and may determine their terms of reference, powers, duration and composition, provided that all acts and proceedings of any such sub-committee shall be fully and promptly reported to the Executive Committee. 7.8 - The Executive Committee shall have the power to appoint and dismiss a paid secretary and such other employees of the Society, not being members of the Executive Committee as it may from time to time determine, or to arrange with any other organisation for the provision of secretarial and administrative services. 7.9 - The Executive Committee shall have the final authority to determine membership of the Society. 7.10 - The majority of members shall determine the frequency of meetings and the time of the next meeting. Decisions about any issue including the modality of communicating and the method of voting shall be decided by simple majority. In the event of tie vote the Chairperson will cast an extra vote. 7.11 - The Executive Committee has the power to make 'Honourary Life Member Awards' for up to a total of twelve living persons who have made outstanding professional contributions to activities that correspond to the Objectives of the Society. The Executive Committee must call Formal General Meetings of the network which must take place at least every three calendar years. *8.2 - At the Formal General Meeting the business shall include reporting the results of elections to the Executive Committee and consideration of a general report of the Executive Committee and the accounts. 8.3 - At least 6 months prior to elections, the Executive Committee shall appoint from amongst its members a nominating committee of at least three persons. In forming this committee the Executive Committee shall be mindful of the need for both geographical representation and experience of the International Society. 8.4 - Notification of elections shall be given to all members, at least three calendar months before the election. The closing date for receipt of nominations shall be two calendar months before the date of election. 8.5 - All nominations must be proposed and seconded by subscribing Society members and may be accompanied by a supporting statement. 8.7 - Though it is permissible for there to be more than two nominations from members resident in the same country, no more than two members whose usual residence is in the same country in the year of election may be elected to the Executive Committee. With this exception the (up to) eight nominees with the greatest number of votes shall be elected to the Executive Committee. In the event of a tie for the final places, the other members of the New Executive Committee will vote between those tied persons for the final place(s). In the event of less than eight nominations, the EC shall co-opt additional members to the committee as long as there are no more than two persons from any one country on the overall committee. 9.1 - The Executive Committee shall have power to obtain, collect and receive money and funds by way of contributions, donations, subscriptions, deeds of covenant, legacies, grants or any other lawful method, and to accept and receive gifts of property of any description. 9.2 - The Executive Committee shall determine the level of subscriptions and the METHODS OF PAYMENTS and require payment of fees within such time as the Executive Committee shall determine but not less than one month from the demand. No person shall be entitled to vote if that person has not paid his dues within a period of SIX months following demand. The Executive Committee shall also have the power to expel a person or organisation for non-payment of fees. 9.3 - The income and property of the Society, whencesoever derived, shall be applied solely towards the object of the Society as set forth in ARTICLE 5 and no portion thereof shall be paid or transferred directly or indirectly by way of dividend, bonus or otherwise howsoever by way of profit to any member of the Executive Committee: provided that nothing herein shall prevent the payment in good faith of reasonable and proper remuneration to any servant of the Executive Committee not being a member of the committee, or the repayment to members of the Executive Committee or any sub-committee appointed under ARTICLE 9.10 hereof of reasonable and proper out of pocket expenses. 9.4 - The financial year shall run from 1st January to the 31st December. 9.5 - A Treasurer shall be appointed at the discretion of the Executive Committee from among the members of the EC by majority vote. The outgoing treasurer shall act as advisor to the new treasurer for the first 6 months of his/her tenure. The functions and duties of the Treasurer shall be defined by the Executive Committee. The funds of the Society including dues, proceeds from meetings, subscriptions, royalties from ISPS publications and expense payments to editors, donations and bequests, shall be paid into an account or accounts administered by the Treasurer. Duties of the treasurer shall include but not be limited to making an annual budget for the Society and making regular financial reports to the Executive Committee. The Society may be dissolved by a Resolution passed by a two-thirds majority of those present and voting at a Special General Meeting convened for the purpose of which at least 21 days’ notice shall have been given to the members. Such resolution may give instructions for the disposal of any assets held by or in the name of the Society, provided that if any property remains after the satisfaction of all debts and liabilities, such property shall not be paid or distributed among the members of the Society. Such assets or property but shall be given or transferred to such other charitable institution or institutions having objects similar to some or all of the objects of the Society as the Society may determine. If and in so far as effect cannot be given to this provision then to some other charitable purpose. Alteration to this Constitution shall receive the assent of two-thirds of the members voting in a ballot formally organised by the Executive. A resolution for the alteration of the constitution must be received in writing by the Secretary of the Society at least four months before the closing date of the ballot. At least two calendar months clear notice of such a ballot must be given by the Secretary to the membership and must include notice of the alteration proposed.